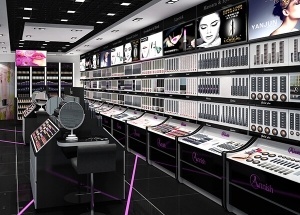 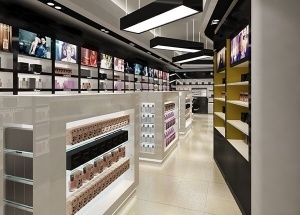 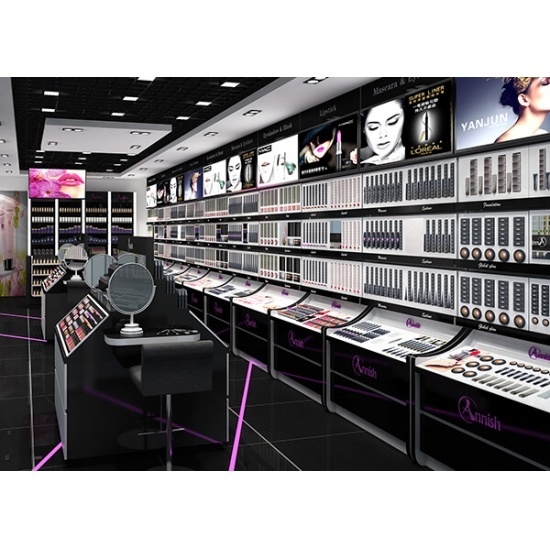 This cosmetic shop project was design by our shop designers for Annish makeup brand, located in Dubai. 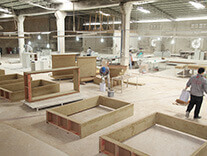 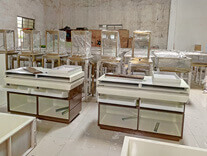 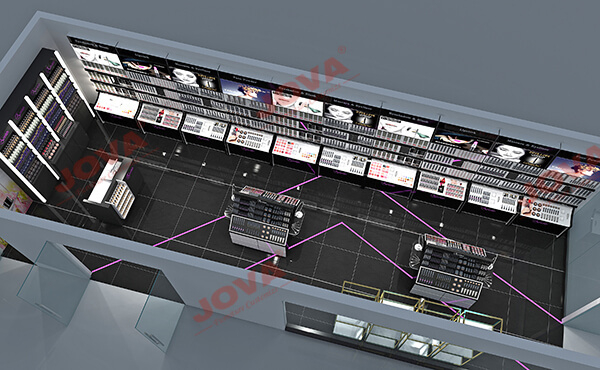 The whole cosmetic shop furniture finished in one month. 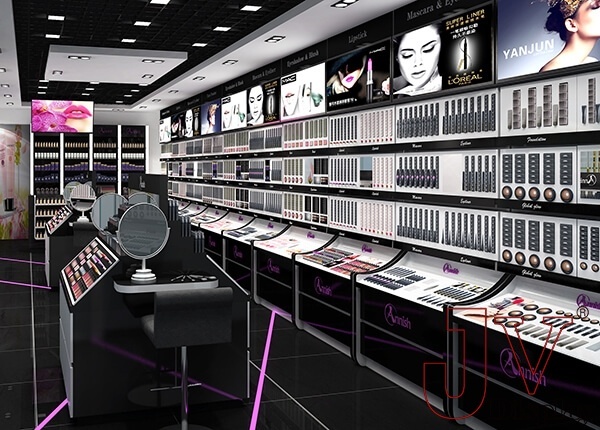 It mainly using makeup wall shelves, makeup gondola. 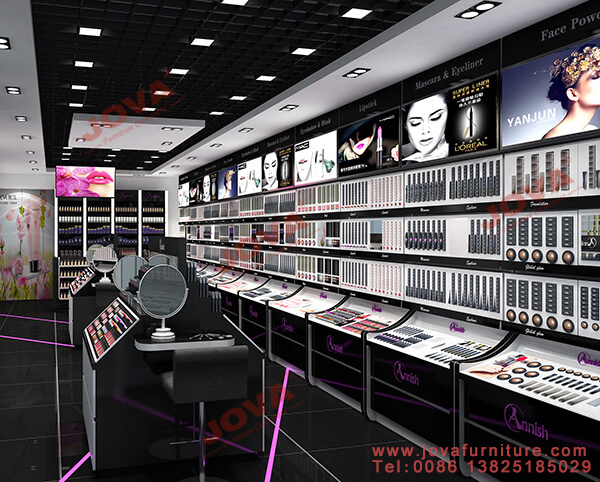 We are makeup furniture manufacturers from China, contact us for the latest design for cosmetic shop. 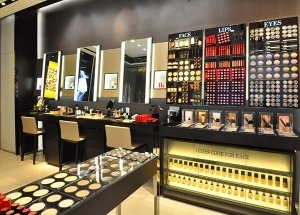 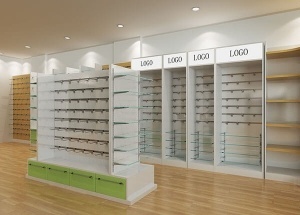 This makeup store furniture including 14 pieces makeup wall shelves, 2 pcs makeup gondola, and the reception furniture . 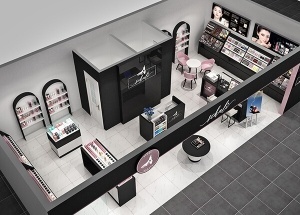 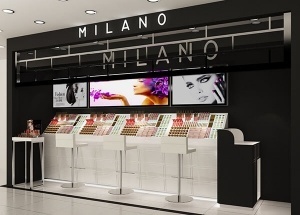 The makeup gondola and wall shelves are movable, and we put acrylic makeup display stands on then, space available to put all shape makeup, very flexible..
View our high end makeup shop furniture manufacturing photoes. 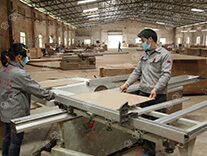 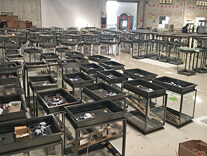 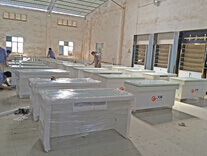 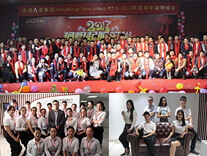 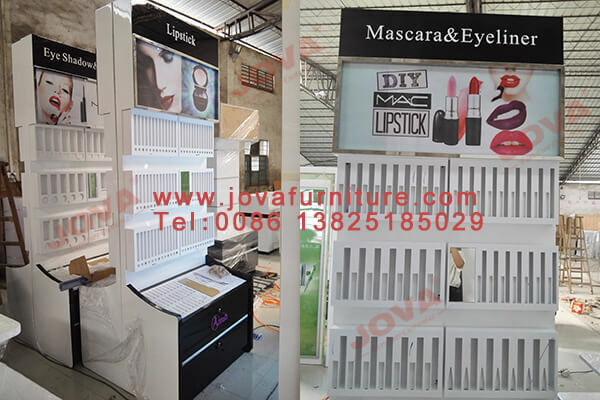 We have 16 years experience in makeup display stand production. 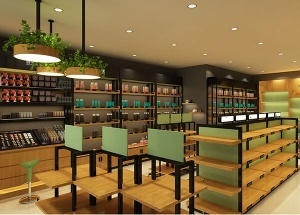 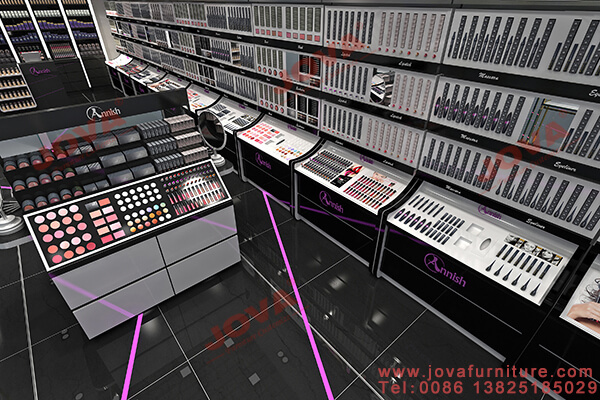 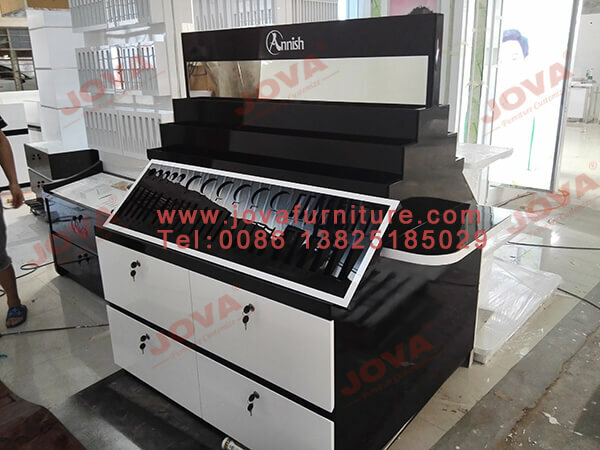 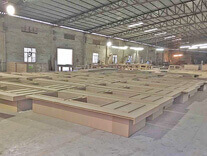 Get a free design for cosmetic shop and free quote for the shop furniture, Please contact us by whatsapp: +86 13825185029 , email at jason@jovafurniture.com.